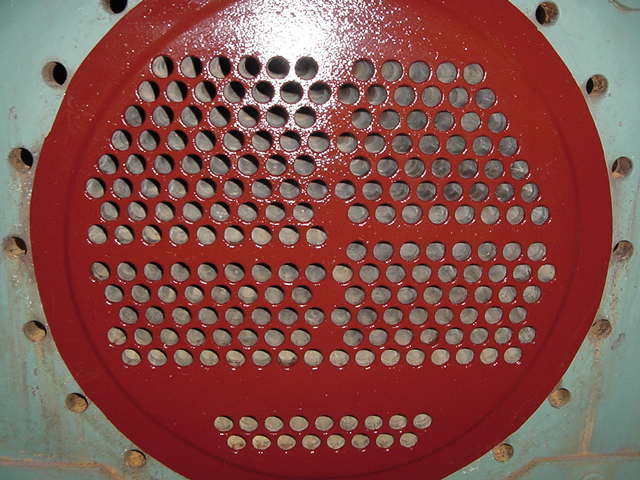 A & G Industrial provides a variety of solvent-free repair composites and epoxy cladding for the repair and protection of steam condensers & heat exchangers damaged by erosion and corrosion. Areas of specialty include tube sheets, water boxes, division bars and end covers. 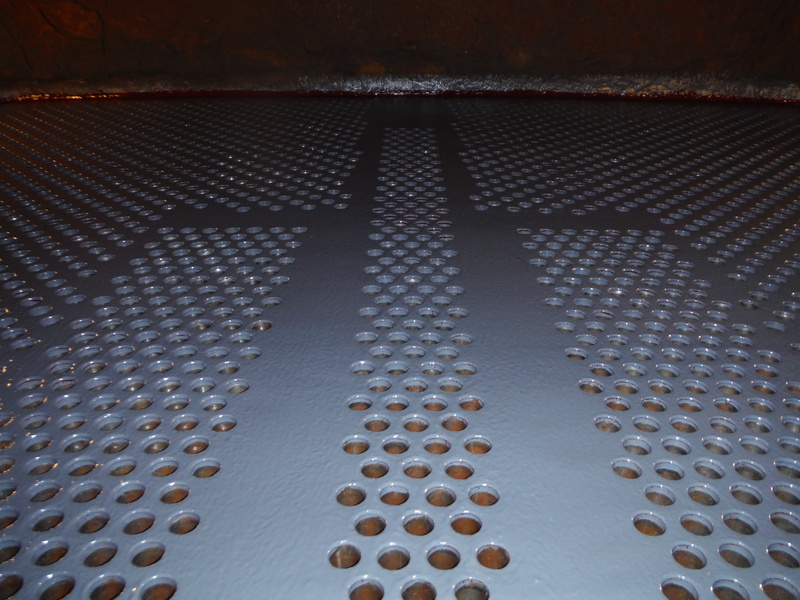 Our cold curing epoxy products allow for rapid, in-situ application that minimizes downtime and provides long-term erosion and corrosion protection. 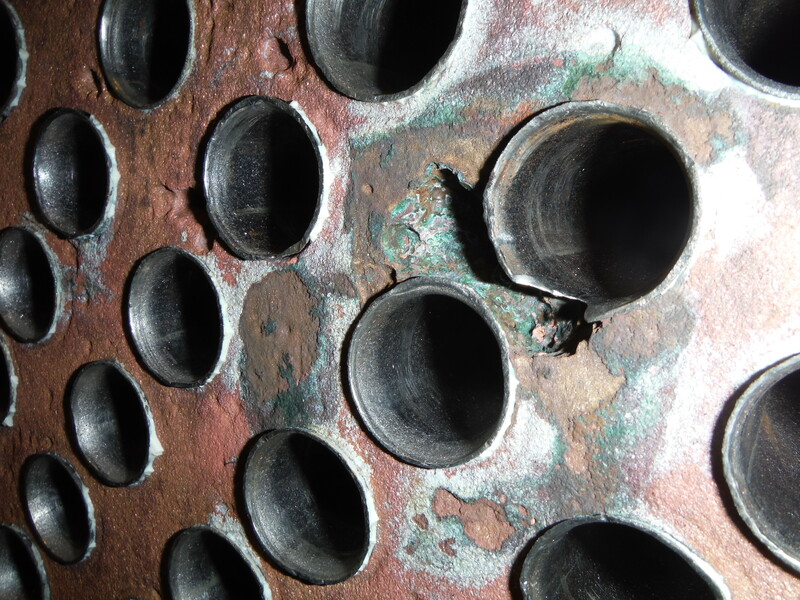 A leak-tight joint between tube and tube sheet is critical to the proper operation of steam surface condensers and other heat exchange equipment. A & G specializes in the prevention of the loss of tube-to-tube sheet joint integrity and the prevention of corrosion and/or erosion of the tube sheet & water box material. The loss of tube-to-tube sheet joint integrity is generally caused by dissimilarities with higher alloy, more noble tube material. 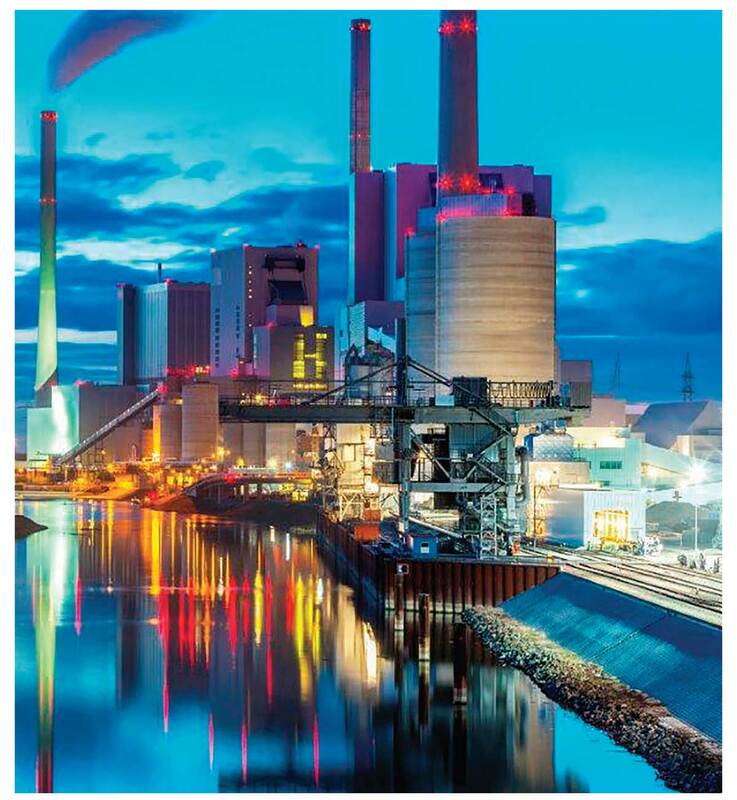 This situation is becoming more and more prevalent as stainless steel and titanium tubes are being used in older condensers and heat exchangers.